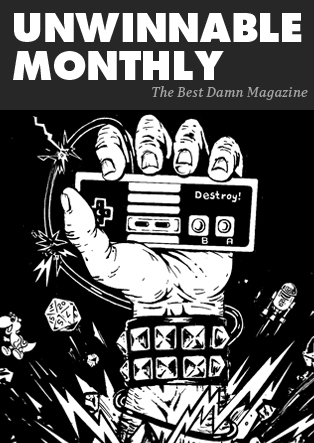 In a world where geek culture is becoming ever more pervasive, where video games sell millions of copies and comic books are adapted into blockbuster movies, there still remains one hobby that rides along the edges. There is still one hobby that is shunned by the mainstream. Join me now as we explore the world of tabletop role-playing games. Join me, the TABLETOP WIZARD! Amid the chaos of New York Comic Con there existed an oasis of calm and reason. Far from the crush of the crowds, the flashing lights of video games, the cloying scent of vinyl, sweat and popped corn, lay the North Hall. That fabled land where few would tread, home of the D-list celebrity (may their autograph hands always be strong! ), a life-sized roaming R2D2, a time-traveling DeLorean, two Batmobiles and the Wizards of the Coast gaming area. While the main halls were packed with mainstream movies, comic book companies and book publishers, a large portion of the North Hall was filled with tables and chairs. Around those tables people, often strangers to one another, sat across from each other playing Magic: The Gathering, Dungeons and Dragons 4th Ed. and a slew of D&D based board games. I’ve never played an RPG at a con before, and outside of my experience with D&D Encounters (See TTW#3), I’ve never played with strangers before. I mean, it’s not always the easiest thing to pretend that you’re a fantasy warrior in front of people you hardly know, but we were all there for the same thing, so judgment was at a minimum. The volunteer DMs ran a few different games all weekend: a learn-to-play for newbies, a Convention Delve called “Lair of the Dread Witch,” a few board games based on D&D properties and a four-hour campaign named Siege of Gardmore Abbey. Guess which one the intrepid Tabletop Wizard chose. Yes! I signed up for the Siege at Gardmore Abbey, which was only happening on Friday and Saturday, and only once per day. This was something I needed to experience. There were plenty of spots open so I signed up early Saturday morning, and then went off to explore more of the con. At around 3 p.m. I ventured back down to the fabled and mystical North Pavilion – which was actually kind of difficult to find – and was joined by my friend, Venture Brothers‘ artist Rick Lacy. The table slowly filled up and within a few minutes we had an adventuring party of five ready to go. The GM, Melissa, laid characters out on the table and asked us to pick one. As far as pre-generated characters go, these were pretty badass, and Rick and I were kind of upset that our current D&D characters, who are a level above the pre-gens, weren’t nearly as cool. Each character had a short biography and a paragraph detailing our relationships with our comrades. I chose a Half-Elf war-priest named Sir Tamlin the Black. The other characters were a human, Sir Nordan (of) Gram, played by Rick; Harak, a half-orc and Tamlin’s adopted son, played by Andre; Savvra, a tiefling played by Sean; and Glynneth, an eladrin played by Conner. Each character also had a goal that they needed to achieve during the four hours of play. Sir Tamlin’s goal was to make sure that none of his party died, and if they did he was to call upon The Raven Queen to spare their souls. Our DM, Melissa, gave us a quick intro to the world we were playing in; we were all knights tasked with protecting the Abbey at Gardmore. As we started the mission the abbey was being surrounded by orc forces, which in itself was not particularly an oddity. The orcs assembled under the black-on-black banner of an orc general named Nightbringer, and used strategies they’d never used before. The party was worried, but the knight commander wasn’t; the abbey apparently had a powerful magical weapon that they could unleash upon the orc forces should they tear down the walls of the fortress. Melissa was a great DM, a quick thinker who presented clear options for us and kept us moving along. She had some great home-brew additions to the game that really spiced things up, meshing role-playing and skill checks together as story-encounters. She also had a great way to deal with initiative tracking. She had us each write our character names on a slip of paper, and then she folded those slips over her DM screen and used a clip to show us whose turn it was. It was surprisingly simple and effective and had two interesting effects. One: we never had to question whose turn it was in battle. Two: it had us calling ourselves and our comrades by our character’s names. 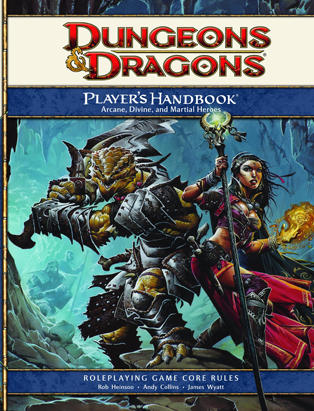 Now, I’ve never really gone too in-depth about 4th Edition D&D here, and I will in a future column, but here’s a little primer: The focus of 4th Edition is to create heroes. Big damned fantasy heroes. In earlier editions of the game there were crafting skills, armory skills, cooking, etc, but not in 4th Edition. Heroes don’t have jobs – or rather, they do, but that job is being a hero. Fourth Edition is all about leveling and gaining powers – literally super-powers – so that you can do incredible things on the battlefield. Every decision you make as a character is designed to lead you to the next combat encounter; it very much attempts to capitalize off of the success of MMORPGs like World of Warcraft. In our home games we try to balance the role-paying with the combat encounters, but when you’re playing 4th Edition D&D at a convention, there’s really no need to pretend you’re playing a strict storytelling game. You’re a big damned fantasy hero and you’re just trying to get through these skill encounters so you can try out some of the powers you’ve got burning a hole in your character sheet. This isn’t to suggest that we didn’t role-play, because we did. All of us, all strangers, read our character bios and relationships and made sure to speak to each other with that in mind. This actually made it one of the most fun games I’ve played in a long time.